Dolce & Gabbana S.r.l. a company incorporated and operating under Italian law (hereinafter also referred to simply as “Dolce &Gabbana”or the “Data Controller”), recognizes the importance of the privacy of those using its own websites, and undertakes to observe such privacy. In general, Dolce & Gabbana collects the personal data of users visiting and consulting the Website, the so-called browsing data. The technological platform by means of which the Website is made available to the user, in fact automatically records certain browsing data – the transmission of which is implicit in the use of Internet communications protocols – such as, for example, the name of the Internet access provider, the source website, the pages visited, the date and duration of each visit, etc. Such information permits access to the Website and the use of certain services, and this information may be utilized in an anonymous and aggregated form for statistical purposes and in order to verify the correct functioning of the Website. Dolce & Gabbana does not collect such data in order to associate them with other information about users, and subsequently to identify such users; nevertheless, the data in question, by their very nature, may permit the identification of users following processing and association with other information. Browsing data may thus be used by Dolce & Gabbana to ascertain whether any liability exists regarding computer crimes committed to the detriment of the Website, or by means of the Website. Without prejudice to such event, the aforementioned browsing data are only stored temporarily, in accordance with applicable law. Dolce & Gabbana collects and processes the personal data that the user voluntarily provides when he/she interacts with the Website’s functions and services, such as in the event of registration in order to have information about new developments from the world of Dolce & Gabbana and to receive newsletters and other commercial communications as well as to send spontaneous job applications as well as in case of requests for information or sending communications to Dolce &Gabbana. More information will be provided in these specific sections. In the sections of the Site where the user’s personal data is collected, an information notice is published pursuant to Article 13 of the GDPR and, where necessary, specific consent is required for the processing of the data provided in these sections, in accordance with the aforementioned regulation. e) exercise of rights in judicial proceedings. for the purposes referred to in point d) is the execution of legal obligations. Except as already stated above for browsing data, specific indications about the duration of data retention are contained in the information notice published in the sections of the Website pursuant to Article 13 of the GDPR. 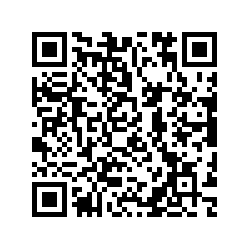 The provision of data by the user for the purposes indicated above is mandatory for the use of the Website. The user’s personal data are processed by computer and telematic methods, mainly by electronic and automated means and, and, limited to particular operations, by paper. In accordance with the GDPR, specific security measures are observed to prevent data loss, unlawful or improper use, and unauthorized access. The user’s personal data are processed by persons authorized to the processing, in accordance with the provisions of the GDPR. Said data may be disclosed to the other companies pertaining to the Dolce &Gabbana Group. Furthermore, the data may be disclosed to other third parties such as professionals, consultants and more generally third parties who cooperate with Dolce & Gabbana for the pursuit of the above purposes, or third parties who have been entrusted with activities in outsourcing. In any case, Dolce & Gabbana undertakes to provide such third parties only with the data necessary to carry out the functions and activities entrusted to them and also undertakes to do its utmost to ensure that third parties use the data received only for the purposes indicated by Dolce & Gabbana and in compliance with the applicable regulations on the processing of personal data. The user’s personal data may also be disclosed to third party companies in the event of mergers or demergers, acquisitions, sale of a business or branch of a business, or other corporate operations of an extraordinary nature. The user’s personal data may also be disclosed to legitimate recipients in accordance with the law or regulations, for example in the event of requests by the competent public authorities and judicial authorities or, more generally, in the context of judicial proceedings, as well as to protect and defend the Website and the rights of Dolce & Gabbana. Such parties will process the data as autonomous data controllers or processors, depending on the circumstances. The updated list of all recipients of data can be requested from the data controller cited below at the e-mail address privacy@dolcegabbana.it or at the fax no. +390227727777. The personal data shall be transferred outside the country or the European Union, in countries not providing for an adequate level of data protection, only in accordance with the safeguards set forth by applicable laws. The complete list of recipients of the data, established outside the European Union, or a copy of the safeguards adopted by the Data Controller can be obtained by writing an email to the following email address: privacy@dolcegabbana.it, or by writing a letter to the address below. The Website or the messages and communications that Dolce & Gabbana sends to the user may contain banners, advertising messages and advertisements of third parties or business partners of the Data Controller. 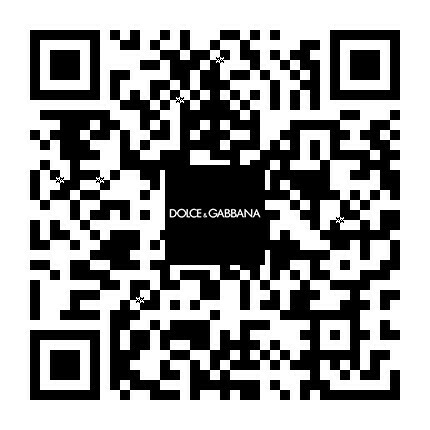 Dolce & Gabbana therefore invite users to pay attention to adhering to the services offered by third parties and to read the information notices provided by the third party regarding the processing of personal data carried out by the same, in relation to which Dolce & Gabbana cannot carry out any control, nor be held responsible. Data controller is Dolce&Gabbana S.r.l., with registered office in Milan, Via C. Goldoni, no. 10. The Data Protection Officer (DPO) can be contacted at the following e-mail address: dpo@dolcegabbana.it. By contacting the Company via e-mail at the address: privacy@dolcegabbana.it, the user may request the Company for access to the data concerning him/her, for their erasure, rectification of inaccurate data, integration of incomplete data, restriction of processing in the cases provided for in Article 18 of the GDPR, as well as object to processing in cases of legitimate interest of the Company. Furthermore, where processing is based on consent or contract and is carried out by automated means, the user has the right to receive his personal data in a structured, commonly used and machine-readable format and, if technically feasible, to transmit them to another controller without hindrance. The user has the right to withdraw at any time his/her consent for marketing and/or profiling purposes, as well as to object to the processing of data for marketing purposes, including profiling related to direct marketing. This is without prejudice to the possibility that the user prefers to be contacted for the above purposes exclusively through traditional means, to object to the receipt of communications through automated means only. Finally, the user has the right to lodge a complaint with the competent Supervisory Authority in the Member State where he usually resides or works or in the State where the alleged infringement has occurred.